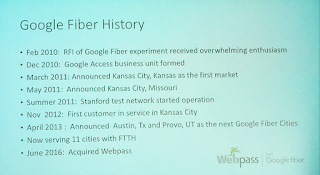 AT&T launched fiber broadband service in 12 new metros, bringing its total to 84. During 2018, AT&T passed over 3 million locations, bringing its total to 10 million locations passed. The newly launched metros are: Amarillo, Texas; Beaumont, Texas; Bowling Green, Ky; Florence, S.C.; Gainesville, Fla.; Hattiesburg, Miss. ; Lake Charles, La. ; Northeast Miss. ; Panama City, Fla.; Pensacola, Fla.; Topeka, Kan.; and Waco, Texas. AT&T launched its fiber Internet service in 2 new metro areas – Biloxi-Gulfport, Miss. and Savannah, Georgia. The carrier also expanded availability to over 60 communities across 20 major metros. AT&T Fiber is now available to over 5.5 million locations across 57 metros, up by 1.5 million this year so far. There are now over 2 million Internet subscribers using AT&T Fiber access. These plans include AT&T Internet 50, AT&T Internet 100 and AT&T Internet 1000. AT&T plans to add another 1.5 million locations by the end of the year, which will total at least 7 million locations. AT&T announced the launch of 1 Gbit/s broadband service over its all fibre network powered by AT&T Fiber to customers in parts of the Tulsa area, including in parts of Tulsa, Jenks, Owasso and surrounding communities in Oklahoma. The Tulsa area is one of 55 metro markets across the U.S. where AT&T now offers ultra-fast, fibre-based Internet service as the company progresses towards its target of reaching at least 75 metros with its fastest Internet service. With the latest launch by AT&T Fiber the operator offers a 1 Gbit/s connection on its 100% fibre network to more than 5.5 million locations across 55 metro areas. AT&T plans to increase this to at least 12.5 million locations by mid-2019. AT&T's Internet 1000 broadband offering is its highest speed Internet service that is enabled by the company's all-fibre network. The service is available priced at $70 per month for customers that bundle it with another AT&T service on a single bill, or for $80 per month as a standalone service for a period of 12 months. * Previously, in late June AT&T announced it was offering its fibre-based 1 Gbit/s connection service to customer locations in parts of the Monterey-Salinas area, including in parts of Santa Cruz and surrounding communities in California. AT&T noted that it planned to expand availability to parts of Capitola and Salinas. * In April, AT&T announced that as part of its program to deploy fibre across its service area in 21 states it planned to extend its fibre network to parts of eight new metro areas, as follows: Dayton (Ohio); Macon (Georgia); Madison (Wisconsin); Monterey-Salinas (California); Savannah (Georgia); South Bend (Indiana); Springfield (Missouri); and western Michigan. * At the same time, AT&T announced the launch of fibre-based service with up to 1 Gbit/s bandwidth in the East Bay area of California, including in parts of the cities of Fremont, Newark, Oakland and the surrounding areas, with plans to offer fibre-based Internet access in parts of Hayward, San Leandro and Union City, California shortly. 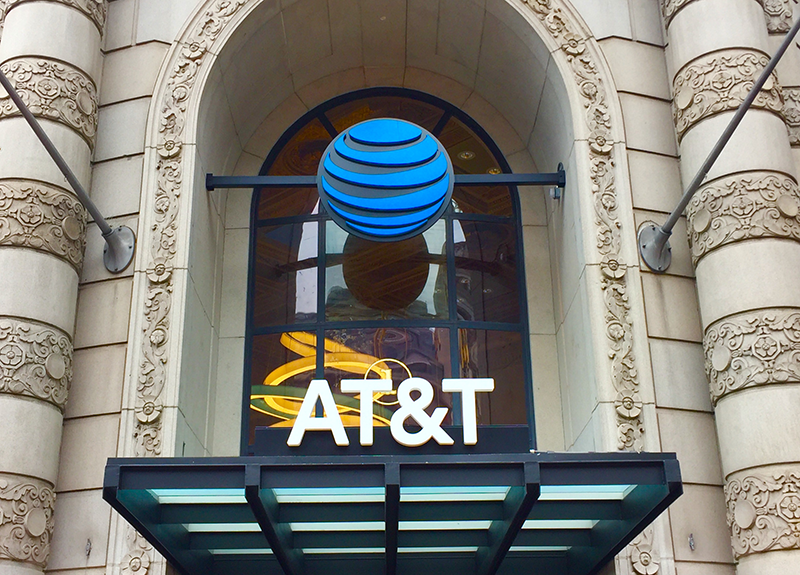 AT&T announced it will conduct a 10 Gbit/s XGS-PON field trial in late 2017 as it progresses with plans to virtualise access functions within the last mile network. The next-generation PON trial is designed to deliver multi-gigabit Internet speeds to consumer and business customers, and to enable all services, including 5G wireless infrastructure, to be converged onto a single network. AT&T noted that XGS-PON is a fixed wavelength symmetrical 10 Gbit/s passive optic network technology that can coexist with the current GPON technology. The technology can provide 4x the downstream bandwidth of the existing system, and is as cost-effective to deploy as GPON. As part of its network virtualisation initiative, AT&T plans to place some XGS-PON in the cloud with software leveraging open hardware and software designs to speed development. 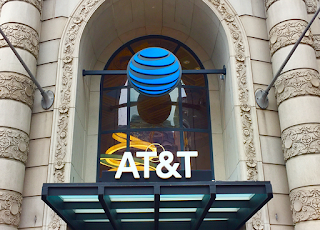 AT&T has worked with ON.Lab to develop and test ONOS (Open Network Operating System) and VOLTHA (Virtual Optical Line Terminator Hardware Abstraction) software. This technology allows the lower level details of the silicon to be hidden. AT&T stated that it has also submitted a number of open white box XGS OLT designs to the Open Compute Project (OCP) and is currently working with the project to gain approval for the solutions. 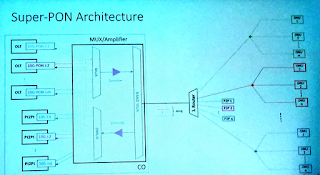 The company noted that interoperability is a key element of its Open Access strategy, and prompted the creation of an OpenOMCI specification, which provides an interoperable interface between the OLT and the home devices. This specification, which forms a key part of software-defined network (SDN) and network function virtualisation (NFV), has been distributed to standards and open source communities. 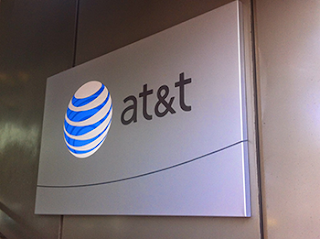 AT&T joined OCP in January 2016 to support its network transformation program. Earlier this year at the OCP Summit Edgecore Networks, a provider of open networking solutions and a subsidiary of Accton Technology, announced design contributions to OCP including a 25 Gigabit Ethernet top-of-rack switch and high-density 100 Gigabit Ethernet spine switch. The company also showcased new open hardware platforms. 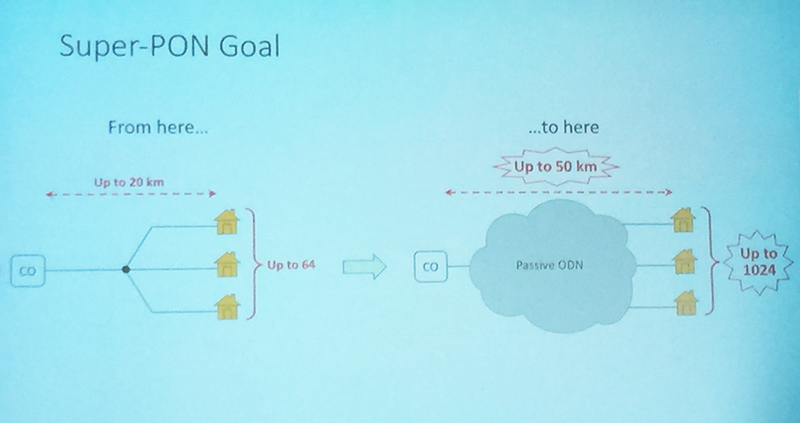 At the summit, Edgecore displayed a disaggregated virtual OLT for PON deployment at up to 10 Gbit/ based on the AT&T Open XGS-PON 1 RU OLT specification that was contributed to the OCP Telco working group. Edgecore's ASFvOLT16 disaggregated virtual OLT is based on the AT&T Open XGS-PON 1 RU OLT specification and features Broadcom StrataDNX switch and PON MAC SOC silicon, offering 16 ports of XGS-PON or NG-PON2, with 4 x QSFP28 ports and designed for next generation PON deployments and R-CORD telecom infrastructure. The city of Celina in Texas announced that, following a unanimous decision by the city council to approve the Easement Ordinance amendment at the recent May city council meeting, developers will be required to install optical fibre lines and conduits in all new developments within the boundaries of the city. The city of Celina, located approximately 40 miles from Dallas, stated that, through the Celina Economic Development Corporation (EDC), it is designing and shortly plans to begin the construction of an 86-mile fibre backhaul network across the city. In addition, through developer and building ordinances and other public-private partnerships, Celina is aiming to build a fibre network to serve a further 64 sq miles across the city to connect all residential, business and municipal rooftops to this fibre backbone. The city noted that the ordinance that has been passed states that: '…a fibre optic network in the city of Celina is a fundamental aspect of the infrastructure required to educate, create jobs, promote public safety, improve citizens' standards of living and deliver essential services'. The planned open access network for Celina is intended to enable faster communication and Internet speeds for consumers and businesses and to establish the first Gigabit City in the state of Texas. Celina's Gigabit City is specifically committed to providing connectivity with a minimum speed of 1 Gbit/s symmertical to all residential and business premises across the city. Describing the project, Scott Stawski, secretary and board member of the Celina EDC, said, "(The network) is approximately only 8% built out, but there is a clear line of sight to being 100% built out in 20 years… because the city is building the gigabit infrastructure now, it will become more attractive to potential new businesses and companies looking to establish in a community with the fastest connectivity in the state of Texas". 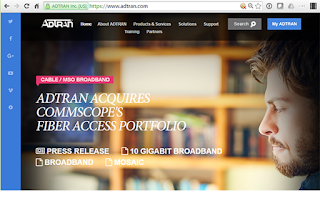 ADTRAN, a supplier of next-generation open networking solutions, announced the introduction of its new Radio Frequency over Glass (RFoG) solution featuring Optical Beat Interference (OBI) mitigation technology. ADTRAN's new RFoG solution is designed to accelerate MSO FTTH initiatives by allowing the reuse of existing CATV assets within both the headend and home. The solution can help to extend the return on investment cycle while supporting the transition from hybrid fibre coax and CATV-based triple play to gigabit FTTH and IPTV-ready deployment models. ADTRAN noted that as RFoG deployments increase in density, the likelihood of OBI affecting performance greatly increases. OBI is caused by simultaneous upstream optical transmissions by multiple cable modems, resulting in impaired reception at all upstream frequencies impacting key applications such as voice, live video streaming and social media interaction. ADTRAN offers a portfolio of RFoG solutions that feature an OBI mitigation MicroNode that does not require new centralised cabinet construction, which can be delayed by right of way and power sourcing issues. The scalable ADTRAN RFoG OBI solution offers a distributed approach to OBI mitigation designed to facilitate the transition to FTTH networks and IPTV-based triple play services for cable operators. ADTRAN's RFoG products are designed to allow cable operators to retain the headend and CPE when upgrading to fibre-based networks. 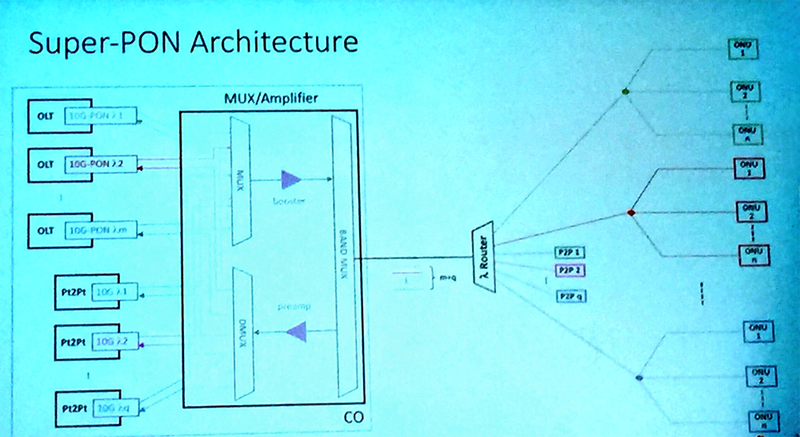 With this model, RF signals generated by the headend and CPE are converted at each end of the link into the optical domain for transmission over fibre, with conversion at the customer premises carried out by an RFoG micronode. ADTRAN offers both standard RFoG micronodes and OBI mitigating versions. Regarding the new solution, Hossam Salib, VP of cable and wireless strategy at ADTRAN, said, "By deploying the MicroNodes, cable MSO customers (gain) a simplified approach to OBI mitigation and FTTH expansion… that is compatible with both 1 and 10 Gbit/s EPON and transparent to the existing CATV assets like in-home set top boxes". 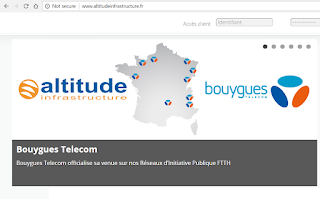 French telco Bouygues Telecom, operator of national IP fibre-based and mobile networks with over 16 million subscribers, announced it has entered into a framework agreement through which it will begin providing a FTTH service in partnership with Altitude Infrastructure. Under the agreement, Altitude will provide Bouygues with fibre network technology to serve both retail and business customers across France. The companies plan to launch a trial phase in September 2017, with Altitude expected to start marketing the new fibre-based services in 2018. Bouygues noted that at the end of 2016 it had 3.1 million fixed broadband customers, including 121,000 signed up to FTTH services. 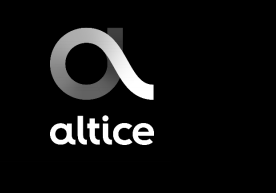 France-based Altitude is an established company that works with local authorities in France to build, develop, operate and market alternate networks. The company specialises in public initiative network (PIN) projects, through which networks are deployed where no existing operator wishes to invest in building infrastructure independently. PINs are backed by public funding and may require approval from local and European regulators. The new agreement with Bouygues covers all of the PINs implemented by Altitude, although it will initially focus on two networks in the east of France that cover around 670,000 customers. To date, Altitude has passed approximately one million premises across France with FTTH infrastructure via 19 PINs in one region covering 15 departments and four urban authorities. As of September 2016, there were 3.2 million FTTH subscribers in France for all operators. Regarding the agreement, Richard Viel, deputy CEO of Bouygues Telecom, commented, "Bouygues Telecom has already been a customer of Altitude Infrastructure's networks for its business clients for a number of years, the new partnership… (demonstrates) its ambitions in FTTH, specifically to be present in all of France's PINs… to enable Bouygues Telecom to reach its target of 20 million premises marketed by 2022". AT&T has expanded its residential fiber rollout to parts of 5 more metro markets: Columbia (South Carolina), Jackson (Mississippi), Knoxville (Tennessee), Milwaukee (Wisconsin) and Shreveport (Louisiana). By the end of February, AT&T Fiber will be in 51 major metros nationwide, offering 1 Gbps connections to nearly 4 million customer locations. 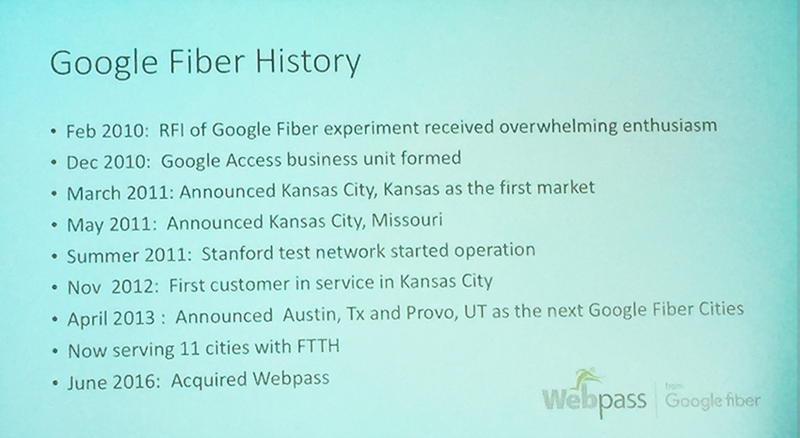 By mid-2019, AT&T plans to reach at least 12.5 million locations across 67 metro areas with its 100% fiber network. AT&T is launching fiber Internet service in nearly 85 cities across 20 major metros in November, offering connection speed of up to 1 Gbps. Eligible locations in the area will be connected to a 1 gigabit internet connection. The will bring the total number of markets served by AT&T FiberS to parts of 32 major metro areas. AT&T has stated its intention to reach at least 45 metros by the end of this year and 67 overall. 3M introduced a new FTTH pathway solution to inconspicuously route fiber from outside to inside residential and commercial settings. 3M Clear Fiber Drop Cable – an all-dielectric FTTH Clear Fiber Drop cable transitions fiber cable from outdoors, where ruggedness is required, to indoors, where aesthetics are desired, without the need for a splice or connection point. With easy-peel technology, the flat, jacketed cable opens to expose a single 900 μm clear buffered ultra bend-insensitive fiber (ITU-T G.657.B3) that’s ready for indoor routing with the 3M Clear Track Fiber Pathway. Clear Fiber Drop Cable can easily be pulled through conduit due to its low friction, low profile cable design. 3M Clear Track Fiber Pathway – the Clear Track Pathway captures and routes a single 900 μm clear fiber to the desired outlet or terminal while remaining virtually invisible. The pathway features 3M’s proprietary clear tape adhesive backing with an easy-peel liner. It installs directly to most walls without staples, heat guns, glues or leaving behind a bulky raceway. 3M 900 μm Clear Fiber – the clear buffered and ultra bend-insensitive, Clear Fiber locks into the Clear Track pathway and provides high-performance bandwidth and low insertion loss even with multiple 90º corners. The fiber can be easily repositioned and reinstalled for convenient extensions and rerouting. 3M Clear Track Fiber Installation Tool – compact and mechanical, the Clear Track Installation Tool is a hand-held rolling device that requires no power source. It secures Clear Fiber in the Clear Track Fiber pathway with required pressure and precision. The installation process requires limited training to operate. 3M One Pass Mini Surface-Mount Wall Outlet – available with SC/APC or SC/UPC adaptors, the One Pass Mini Surface-Mount Wall Outlet is an equally low-profile way to complete the Clear Track FTTH connection near an ONT or customer premise equipment. Starman, the largest cable operator in the Baltic States, plans to deploy a 10-gigabit Ethernet Passive Optical Network (10G EPON) across Estonia beginning in Q4 2016. The new network will deliver ultra-broadband services to residential customers living in Estonia and meet growing customer demand for high-speed, high-quality triple-play (voice, Internet and cable) services. Furthermore, the solution supports DOCSIS provisioning over EPON (DPoE), which allows for a low-touch integration into the existing cable network and DOCSIS back-end systems. The solution also includes Nokia's Optical Network Termination (ONT) devices, providing consumers with the latest generation gigabit Wi-Fi technology. Nokia said the contract shows "how cable operators globally are considering deep fiber and fiber-to-the-home deployments as a realistic and cost-effective alternative to upgrading their current DOCSIS 3.0 Hybrid Fiber Coax networks to 3.1, in order to meet subscriber demands." Starman is the first European cable operator to commercially deploy a 10G EPON fiber access residential solution for brownfield deployments. 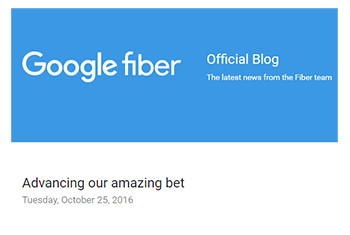 "After careful consideration of the different technology options, we determined that Nokia's 10-gigabit fiber network would allow us to deliver the best service and end-user experience to our customers. We chose Nokia because of their unique ability to provide both the latest technology innovations and expertise from their top specialists. When investing in the Internet services we bring to our customers' home, ensuring the technology is future-proof is essential. 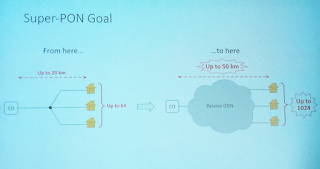 Today we are choosing solutions that can allow for symmetrical connections greater than 1Gbps, enabling us to skip some current technological developments and take a seat on the new high-speed 10G train," Starman Group Technology Director Jaanus Erlemann. AT&T GigaPower Internet Premier offers Internet speeds up to 1Gbps for $110 a month or speeds up to 300Mbps for $80 a month. The AT&T GigaPower network is now available to tens of thousands of locations, including single family homes, thousands of apartments and small businesses in parts of Eastvale, Irvine, Los Angeles, Orange County and surrounding communities. 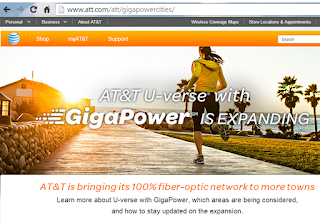 "We’ll continue to expand our 100% fiber AT&T GigaPower network to additional locations. We’re planning to triple availability by the end of the year. Eventually, we plan to make our AT&T GigaPower presence in the Los Angeles area one of the largest in the country. Additional local communities where we are planning to bring AT&T GigaPower include Arcadia, Glendale and more," stated Eric Boyer, senior vice president of AT&T wireless and wired product marketing. AT&T also noted that it has invested more than $2 billion in its Los Angeles area wireless and wireline networks from 2012 through 2014.